Till post date i.e. 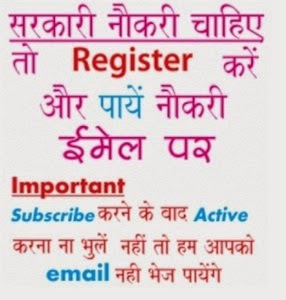 21st April 2019 there is no such job, guys be in touch with us to view the UAE Exchange India Recruitment online as this page is dedicated to give all new alerts on UAE Exchange jobs in 2019 in coming months, till you may view previous circulars. Earlier UAE Exchange is conducting Interviews for Assistant Managers and Officers Jobs for its branches in Delhi and Punjab. Interested and eligible candidates have to attend interviews on as per official schedule. Freshers may also apply for this job. More information of UAE Exchange Recruitment 2019 like salary, age, qualification and interview venue etc is mentioned below…………………. The candidate should be male/ female graduate with minimum 03 years experience in sales and business development can apply. In Nawanshahr for Garshankar, Mahilpur & Nawashahr Branches: No. 79, Ground Floor, Near Bus Stand, Garshankar Road, Nawanshahr. Candidates can attend Interview for Officers/ Branch Heads posts at UAE Exchange India Recruitment for their branches in Punjab and Chandigarh branches and upcoming branches at Amritsar, Banga, Sangrur and Mukerian. The candidates have to Walk-In-Interview for this post on 12/07/2014, Employment News July 2014. The complete details of UAE Exchange Recruitment 2014 like salary, age, qualification are mentioned below……….. The candidate should be male Graduate with minimum 03 years experience in sales and business development can apply.